Reminds me of all those layout sessions from my student-newspapering days. 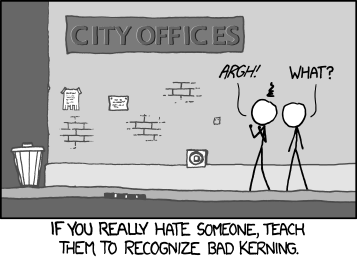 Was it Larry Dupraz who taught me about kerning? Hmmmm. hahahaha! You hate lots of people, I bet! You have no idea. It’s a dark secret of mine.